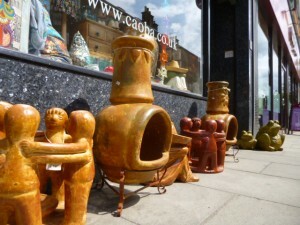 A while back, as I was placing the chimeneas and pots outside the shop, a passer-by remarked on the negative perception she had of the Pancho figures in our display. I don’t like not having an answer so I looked into the Pancho’s back story. Happily, as it turns out this lady’s concerns are not shared by the craftsmen who make these resting figures. Pancho is in fact a Campesino, a Mexican farmer or farm worker. They typically start their long working day early to avoid the heat of the sun. 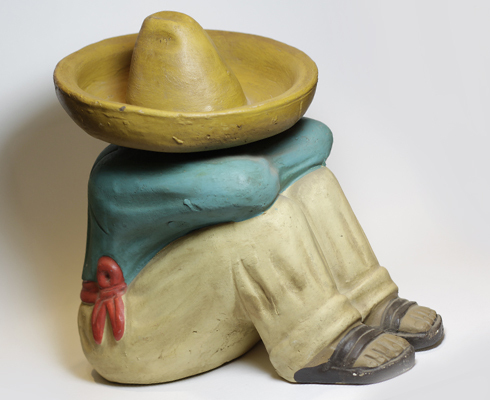 Our Pancho statues represent these campesinos taking their hard-earned siesta before heading back out into the fields, shielded from the sun by their traditional wide-brimmed hats. These terracotta Pancho statues are proudly made by Jesus, working out of his small workshop in Mexico, where he also produces circles-of-friends for us. Each figure is hand made, some of them painted, some left undecorated. 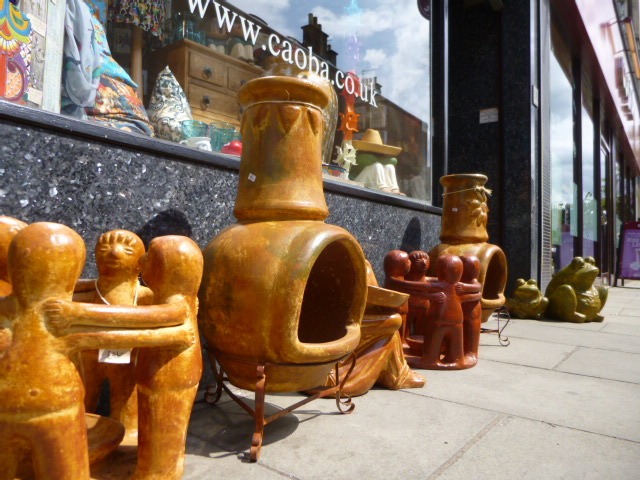 The terracotta wide-brimmed hats, representing vital protection from the heat of the Mexican sun here in Edinburgh serve as effective bird baths, collecting rainwater… We can bring you many delightful items from Mexico, but we can’t change the Scottish weather! This entry was posted in Mexican Icons, Useful Info on March 26, 2014 by admin.